HELLO AND WELCOME TO TMS + YOU! TMS+YOU is the premiere patient advocacy website for TMS Therapy. Transcranial Magnetic Stimulation is one of the greatest and most promising medical therapies that is already treating thousands of patients with Major Depression Disorder. To help you keep up with this new technology, we are committed to bringing you the latest in TMS news and information. We have designed TMS+YOU to be a special place where members of the TMS community can come together to find answers, share insights, and gain courage. So check out our FAQs for quick answers, or go to our TMS Forum to talk with people just like you! Please note that TMS+YOU is a community website for people who are going through TMS and who are considering TMS. Any information or insights obtained on this site or through this site should NOT be considered “professional medical advice”. If you have a medical question please consult your doctor or psychiatrist immediately. 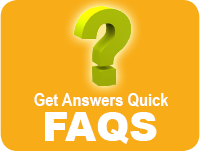 Our frequently asked questions are your source for fast answers to your TMS Therapy questions. If you have a question but don’t see it in the FAQS, be sure to check out the Forum or go to Ask A Question to get an answer from a preferred contributor. I love life; I enjoy going to work and the gym. I have healthy relationships now. It's been a year since TMS and I can’t say I am depressed anymore. My quality of life had improved and I didn’t have any side effects from TMS. TMS has been a true miracle in my life! After the first week of TMS treatments, I began to feel more peaceful. Believe it or not, after 3 treatments, I felt better. We’re at the forum talking about our experiences with TMS. Give your own FAQ response, share your story, or ask someone a question. Come join us and share your insights. We’ll also be having periodic live Q&As as well as interactive polls so check back regularly. What should I do after a session? If you or a loved one are considering TMS, then you probably have many questions that need answered. This site offers much in the way of concise information on TMS and covers everything from the science to the process. We also offer a handy FAQ guide to quickly find answers to most of your questions, plus some more you may not have thought of. You can also contact us through the Ask A Question with your specific inquiries. TMS is a very unique experience, and it is that experience that TMS+You wants to capitalize on. If you have gone through TMS, or suffered through years of depression, please share your story. There are plenty of ways to impart your knowledge to the TMS Community, whether it is in the form of a testimonial, or commenting on the Forum. Either way, your valuable insights may well help someone going through what you did. Lets face it, TMS Therapy is just one facet of the larger experience that is Major Depression. While depression often feels like an intense personal pain, there are common experiences that bind us all together. So while your hurts are unique, you are not alone. This site is a safe place to share insights, find strength in other people’s success, and to realize that no one is alone in this fight. Come talk with us at the Forum!